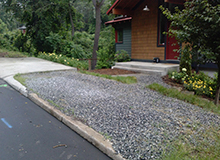 Goal: To remove the ugly concrete paths leading to the house from the parking areas and create a beautiful approach to the front door and a raised garden bed for our client to grow herbs and vegetables in. 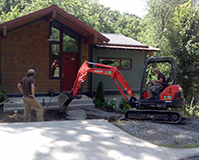 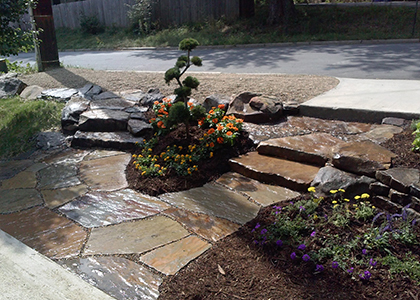 Challenges: How to design in such a small space and still maintain both paths to two separate parking areas, both of which are regularly used by our client and dominate the bulk of the square footage in the front yard. 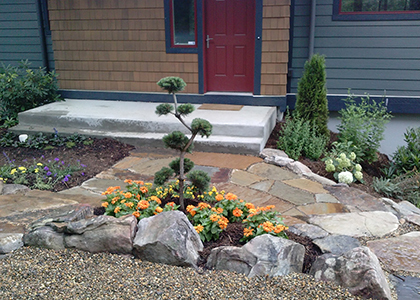 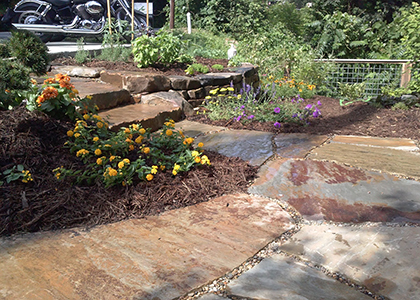 Results: A branched stone path, featuring a Scotch pine topiary as the center piece. 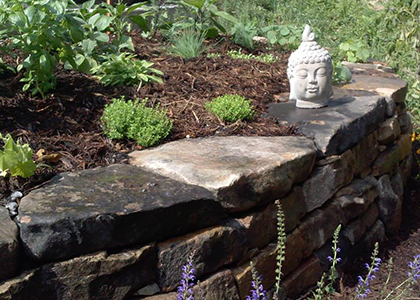 The walk is flanked by a vegetable garden terraced with a Tennessee field stone wall.